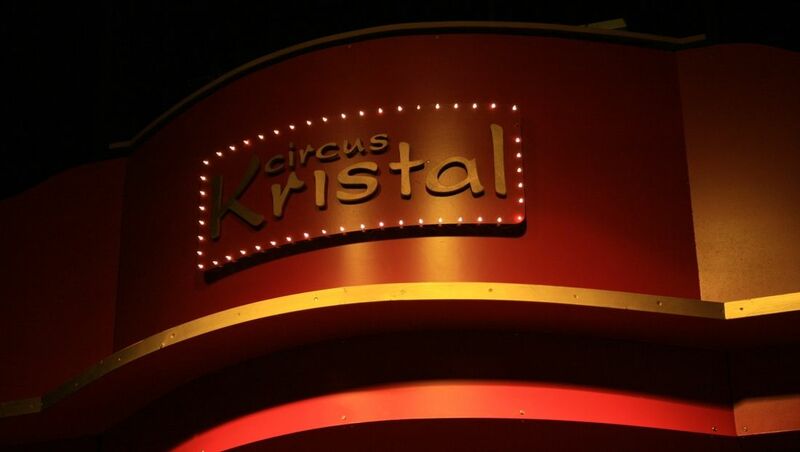 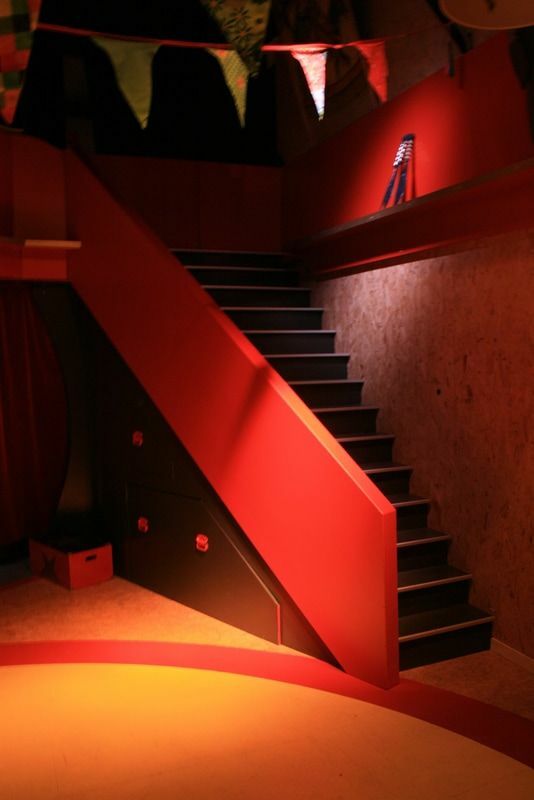 Complete theater designed and created for Circus Kristal. 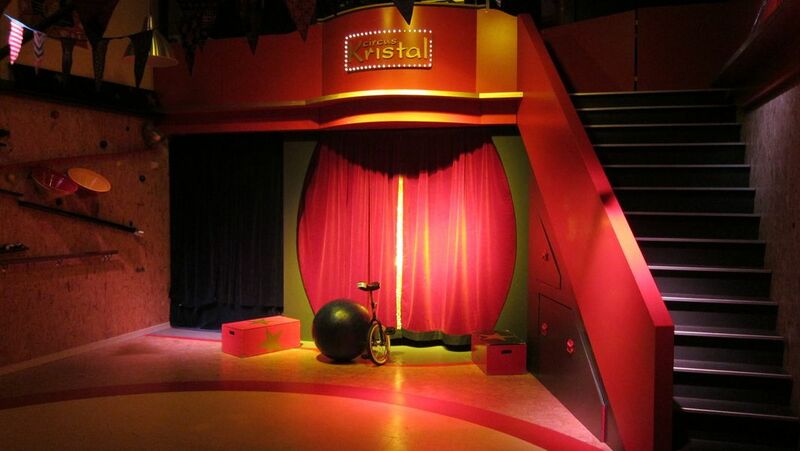 A multifunctional space where with few transactions a theater can be created for performances. 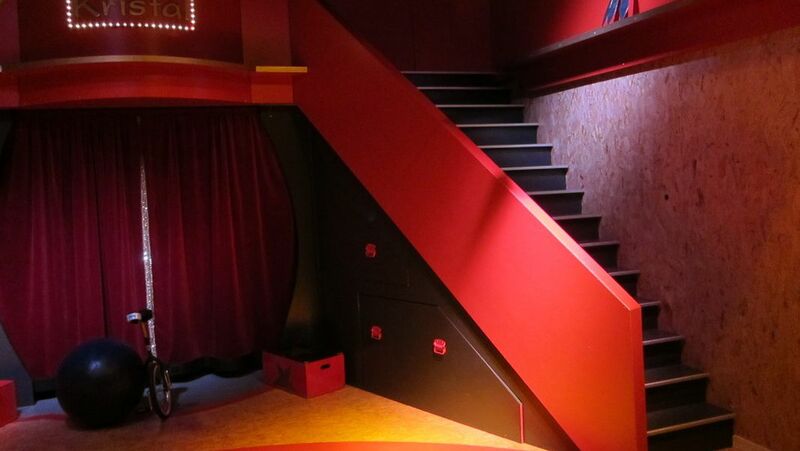 Staircase leads upstairs to the art space (operating sound and light) that also serves as an office. 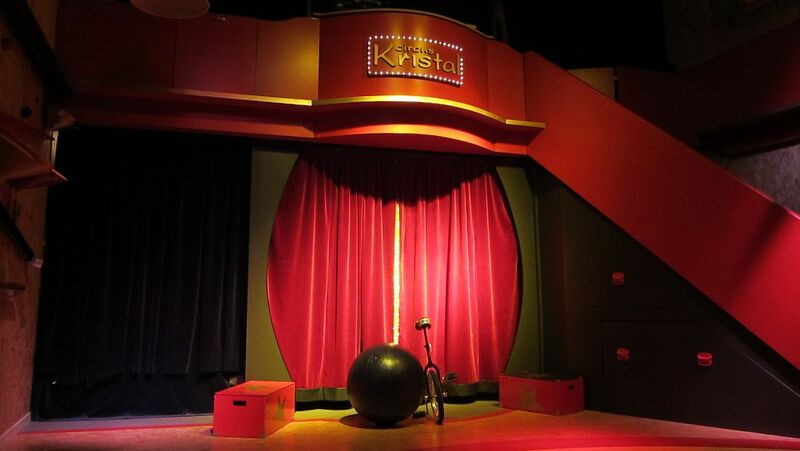 The space is designed for small groups who are challenged with different circus disciplines.